Strength is generally perceived as a physical ability. The word also means the ability to withstand pressure. This is the type of inner strength that one needs to overcome the challenges of the human spirit. Fear is a normal reaction to the unknown and un-investigated. I overcame my deep fear of the dark by turning round to face it. I would put my hand over my heart and my back against a wall, if there was one whilst saying ‘Come on then, show me!’. This took strength of will, not physical strength but emotional strength to turn around and feel the fear but do it anyway. I didn’t’t feel brave, I was terrified. But each time I challenged myself I got stronger and stronger within. 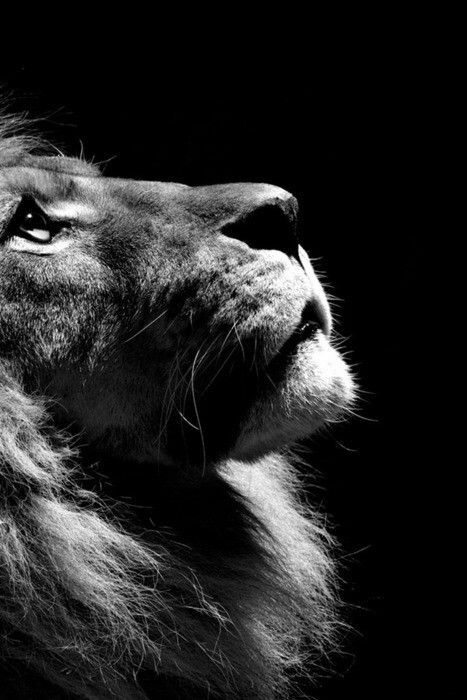 I have not used the word courage as I think many people see the word and think its something that they do not have. I feel it takes strength of spirit and a strong will to bring that courage out. 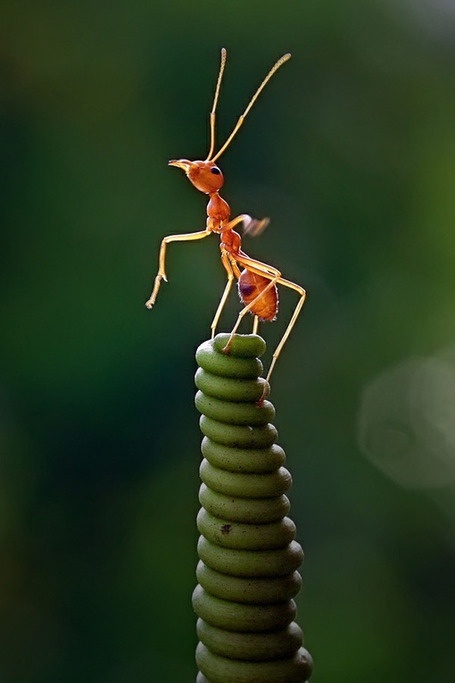 As the ant shows, even the smallest of creatures can withstand great pressure and force. Yes it is strong for its size as is its determination and persistence to keep going even after things have not gone well or the goal has moved and one needs to begin all over again. Also due to being such tiny creatures they take tiny steps. This is the way to build up resilience of spirit, one step at a time. The medicine of the ant teaches infinite patience and that is indeed what is needed on the questers path to build greater strength. In today’s society, the quick fix concept is very addictive, as is the fast track workshop that will ‘fix’ your core wounds. This is merely a sales pitch for perfection. The trip is about the journey itself. Each step, each insight is of value. The rush for enlightenment on top of the mountain has stopped people from doing the work along the trail and taking in the view. And this leads to spiritual craving which can propel one to push too fast. Real strength comes in the small steps towards balance. Non ordinary reality has no time frame or a score card for comparing one person to another. People can often seem way too tense in their energetic frequency and need to learn to pace their progress. Garner your strength, breath in some patience and take the next step with firm and grounded awareness. To be spiritually resilient one must have the strength to keep going, to keep getting up no matter how many times one stumbles. If you have survived hard times then its most likely that you’re fairly resilient and there is a gift of strength in that. Strength is often persistent and enduring. 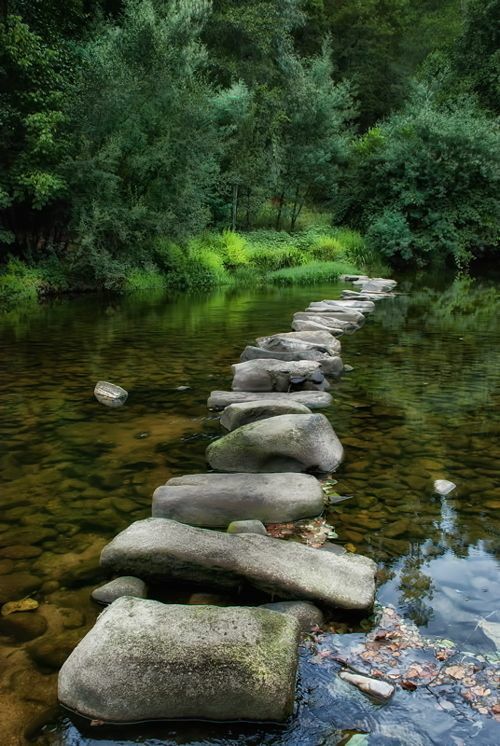 If you feel you are in need of strengthening your spirit to assist you on your travels and inner explorations, here are some stepping stones.